The name change marks the successful integration of Mouchel with WSP following last year’s acquisition. 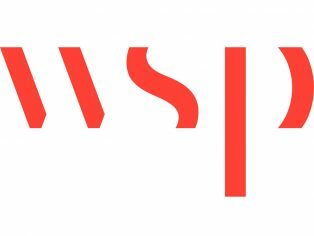 WSP had previously announced its own name change, rebrand and organisational restructure in the UK in May. Since January all WSP and Mouchel employees have been working under a new structure in the UK, headed by UK CEO Mark Naysmith. Key members of the Mouchel team have taken on senior positions in the new WSP structure, including Miles Barnard becoming WSP’s UK CFO. Mouchel’s people are well recognised for their broad expertise in the public transportation and infrastructure sectors, particularly in highways, Intelligent Transportation Systems (ITS), land referencing and regulated water. The combined business has already won new projects by working together, including the Highways England Regional Investment Programme (RIP) Stages 3 and 4 (Transport and Infrastructure), HS2, and the Scotland Excel Framework (Transport and Infrastructure / Planning and Advisory / Property and Buildings). WSP’s new brand celebrates the culture built on the coming together of over 85 companies in the last five years, with WSP growing to over 36,000 people globally and over 7,000 people in the UK, including around 1,700 from Mouchel.